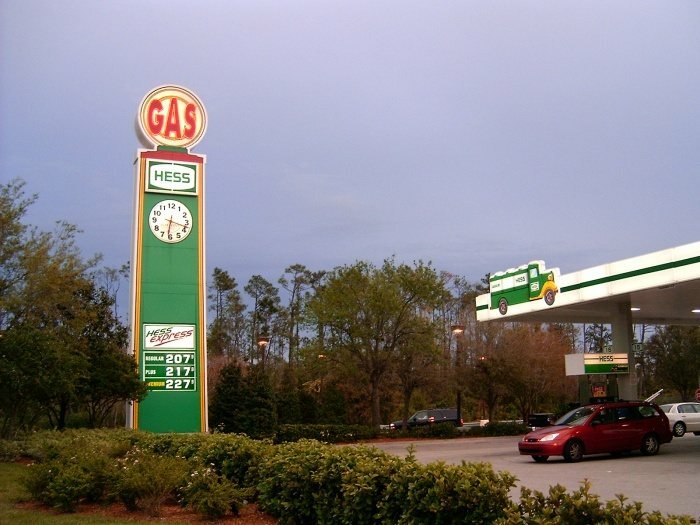 Hess station in Orlando, Florida across from "Downtown Disney"
Photo taken March, 2005 by Robert Droz. 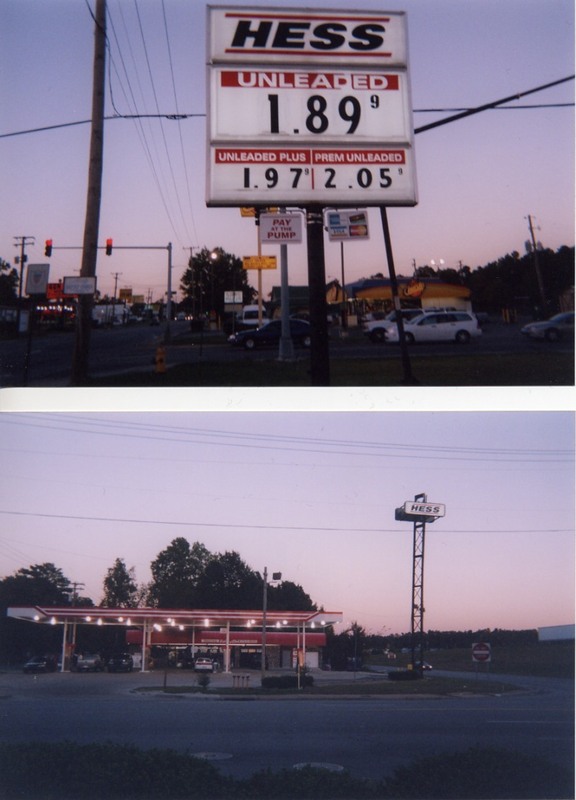 Two photos of a Hess in Manassas, Virginia, taken in June 2005 by Paul Crumlish. 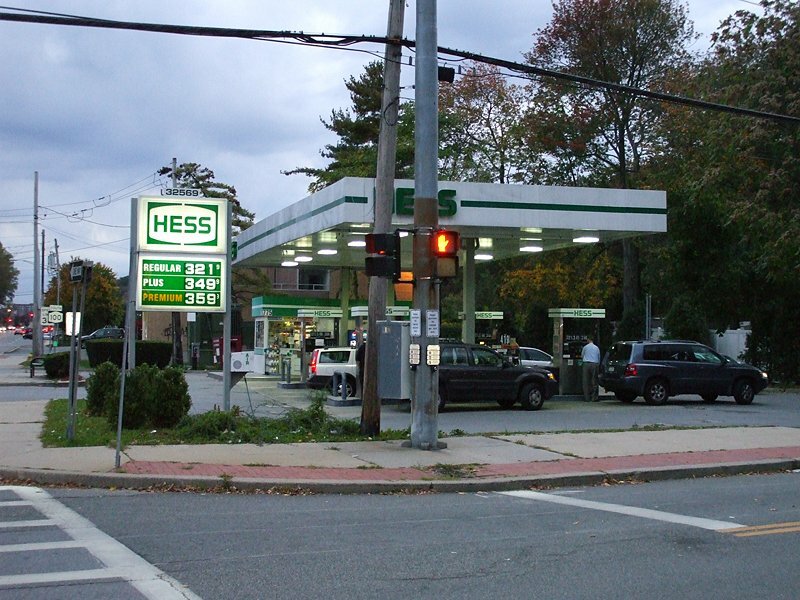 Paul's description: This is an example of the old school Hess stations that covered the Northeast years ago. 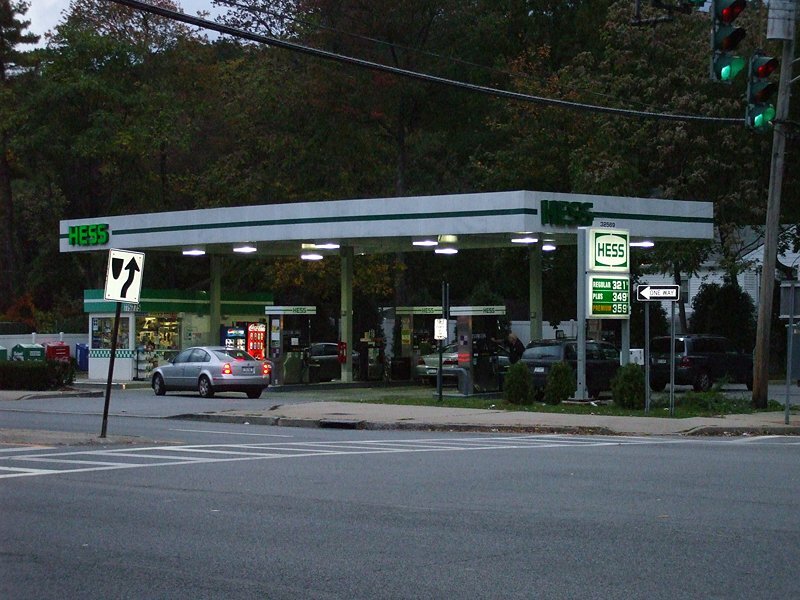 While long in the tooth and looking its age, there are three or four left in metro DC area -- rather than the new mini store/gas station models. 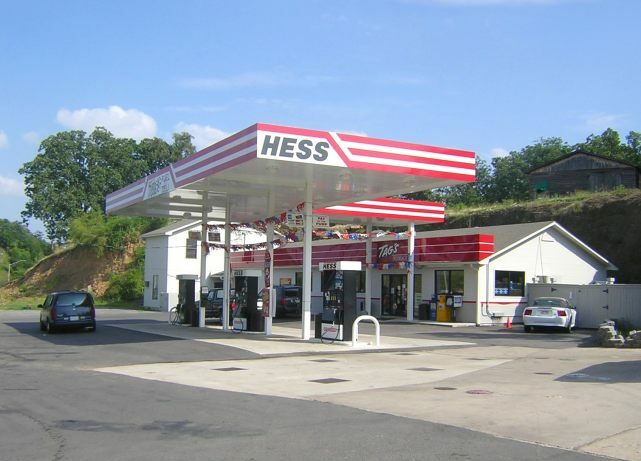 Two views of a Hess on the Southeast corner of So. Broadway (U.S. 9 and N.Y. 119) in Tarrytown, New York. Taken by Jeff Alterman on November 17, 2004. 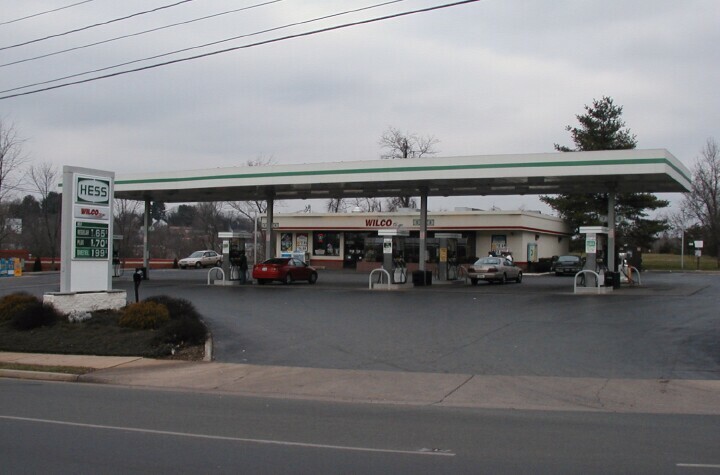 Jeff's notes:Until late 1990, there was a Sunoco station on this very site. 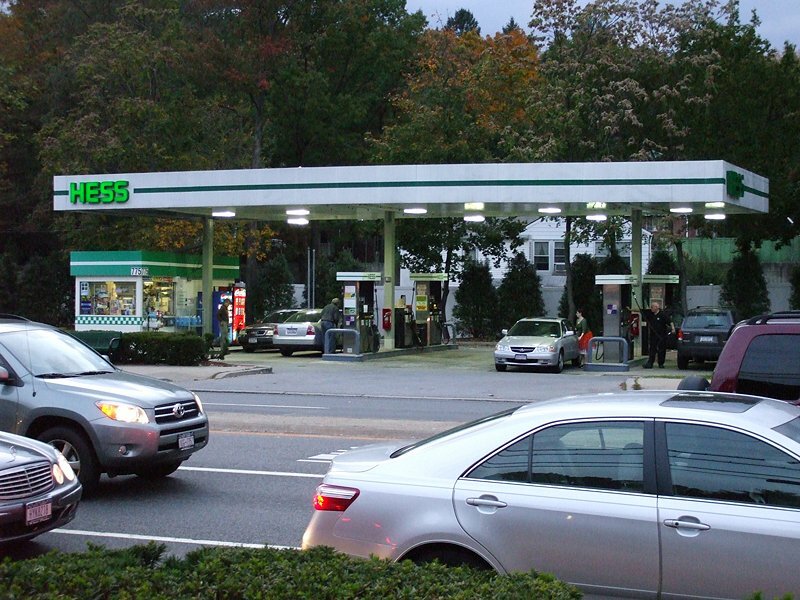 It was a Gulf station earlier in its career. 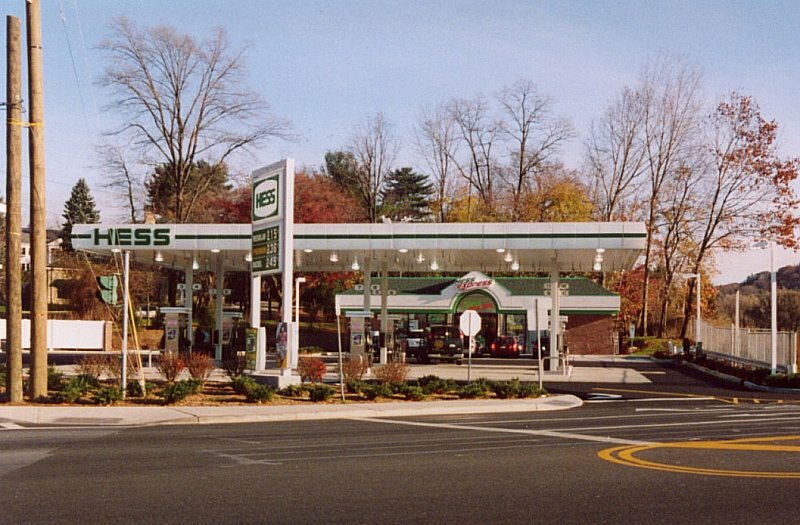 The old station was demolished so that the intersection of U.S. 9 and N.Y. 119 could be widened to improve traffic flow and to direct the traffic to a new entrance for the Tappan Zee Bridge which is directly opposite this gas station. The new station began to operate about a month before this picture was taken. 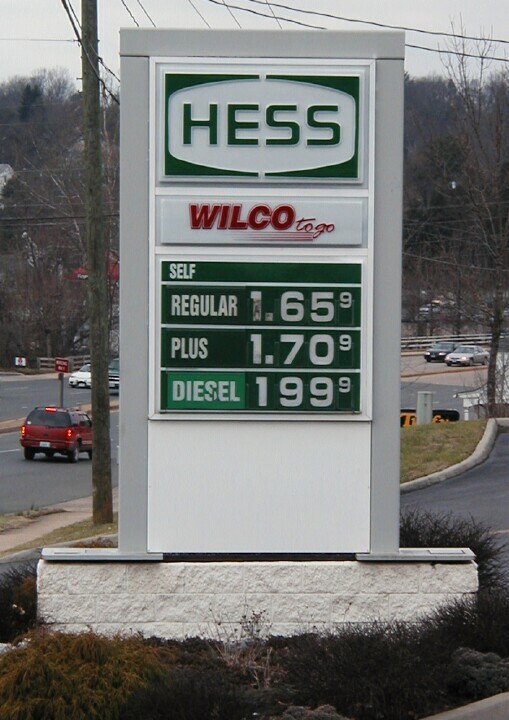 I have bought gas at this very station since it has opened. 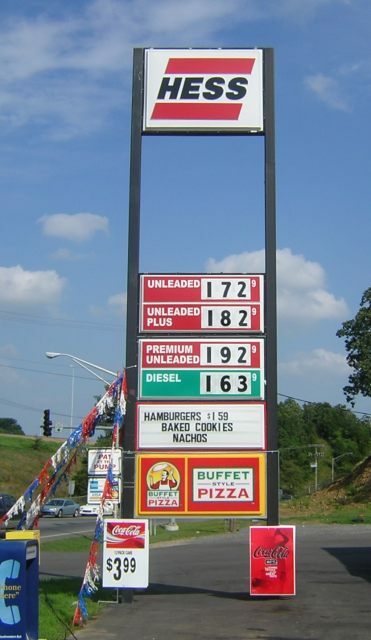 Just goes to show that a new gas station can take place of a long defunct gas station at the same location on occasion. and Mt. Joy Avenue in Scarsdale, New York. The address for this station is 775 Central Park Avenue. Photos taken Oct. 16, 2008 by Jeff Alterman. 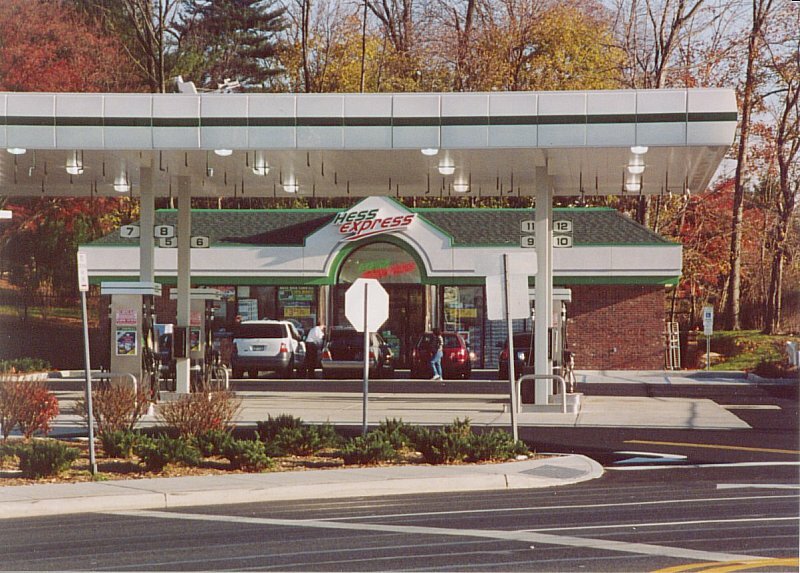 A Wilco-Hess Travel Plaza and (looks like) a Stuckeys too. 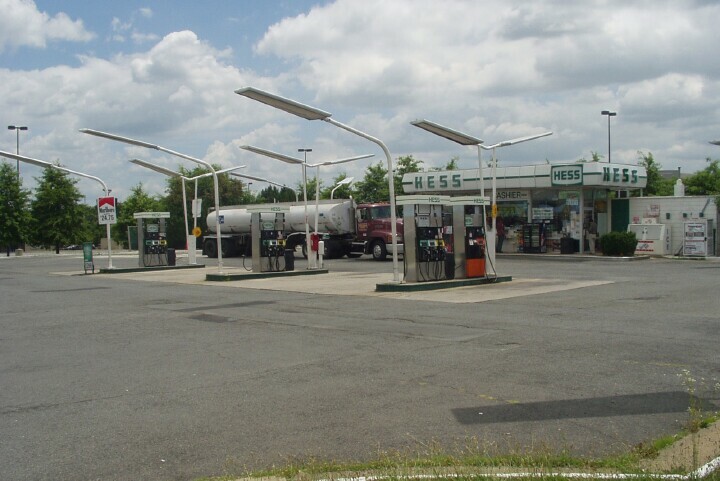 Store is in Kenly, North Carolina along I-95 (exit 106). Taken by Robert Droz in November, 2003. Thanks to Jason Henderson for additional info. 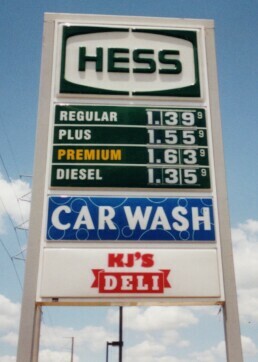 Hess sign and station in Lakeland, FL. Taken June 2002 by Robert V. Droz. 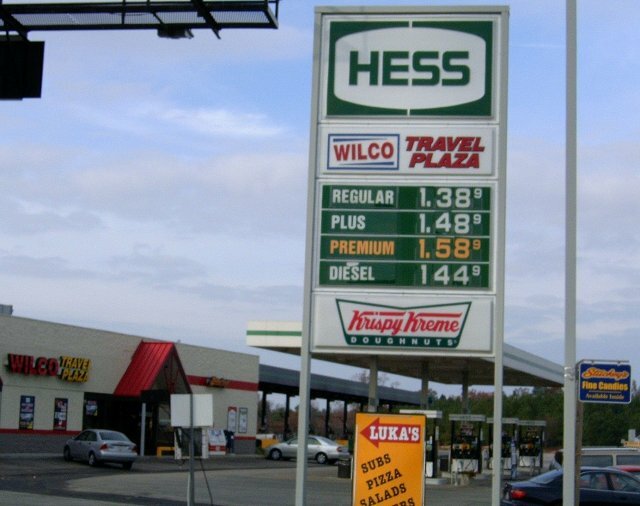 Photos of a Hess sign and station in Conway, Arkansas. (mockingbird?) until sometime in the last year or so. 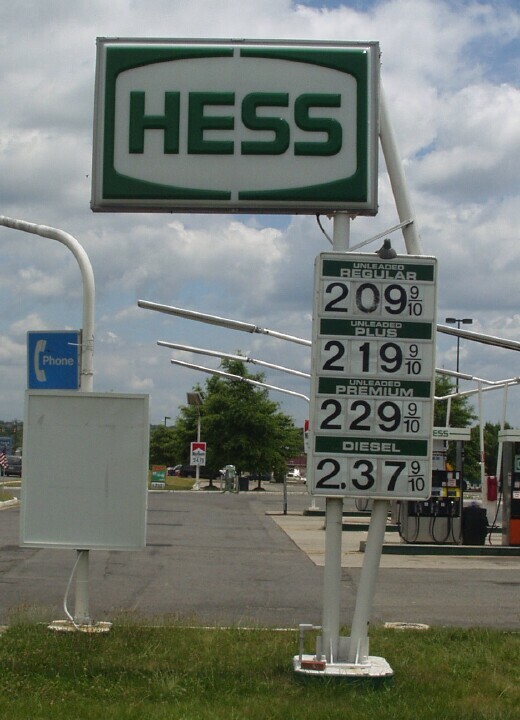 I found this Hess station in North Little Rock last year. 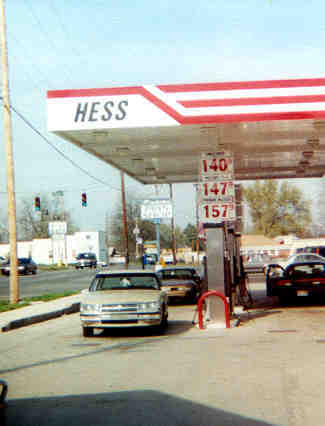 Another Hess in Little Rock, Arkansas.